Home » Should iTunes Be Part of Your Release Strategy? Should iTunes Be Part of Your Release Strategy? I’m not sure how many filmmakers who have spent time and great energy creating images for big theater screens feel about debuting via heavily compressed Internet media, but Film Movement plans to try such a “first run” approach with their recent announcement of a theatrical day-and-date iTunes movie release. 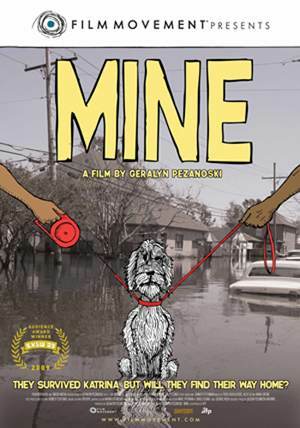 Such screenings would include Mine (audience award winner SXSW 2009), opening this January 8th at Cinema Village; the documentary will be the inaugural launch of the new distribution scheme. Of course it was in May 2008 that Apple’s iTunes store began offering movies from major studios the same day as their release on DVD. Prior to that, films from most studios hadn’t been available on iTunes until weeks after their DVD release. That timing still protected the hallowed distribution “window” that allowed pay cable, HBO et. al. to have a go at sating the public’s appetite for a recently released film. We’ll have to see if Film Movement can build an audience for movies “without being held prisoner by traditional distribution windows” as Film Movement’s President Adley Gartenstein remarked in prepared comments. But, considering the new generation’s love for anything that’s not a stuffy old desktop screen, the real test for movies in the coming years might be how it plays on mobile media. Of course we’ll have to wait until Apple’s much-ballyhooed iSlate—or whatever moniker it ends up with–hits to finally see if that slightly larger screen will make Film Movement’s distribution scheme viable and directors happy.